We are excited to announce we are the first practice to offer SureSmile in Alabama! Consider Invisalign® treatment to get the beautiful straight teeth you've always wanted — without braces! 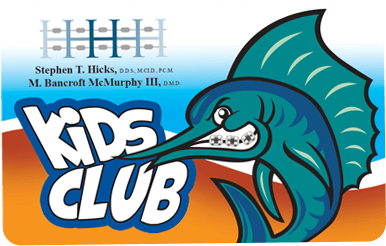 Welcome to Hicks & McMurphy Orthodontics! Welcome to the office of Drs. Hicks and McMurphy. With convenient locations in Mobile and Saraland, AL, as well Lucedale, MS. Our philosophy is simple: Provide the best possible and affordable orthodontic care in a caring and fun environment! We are confident that we can provide this type of orthodontic care to our patients because of the combined knowledge and experience of our expert team of doctors and staff. Before becoming an orthodontist, Dr. Stephen T. Hicks practiced as a restorative dentist for ten years. His experience provides him with extensive knowledge in general, cosmetic, and restorative dentistry—all of which are vital to our orthodontic practice. Adding to our expertise, Dr. Bancroft McMurphy is a trained periodontist (gum specialist) and orthodontist. His knowledge of the appropriate treatment for common gum problems is incredibly valuable to our patients undergoing orthodontic treatment, ensuring a complete healthy and beautiful smile. Our staff includes members that are board-certified in hygiene and orthodontics, with combined orthodontic experience of 143 years! We have a tremendous amount to offer our patients. Come visit us! On your first visit you will receive a free consultation, and we will show you how much we love to create beautiful smiles. Please contact one of our offices in Mobile and Saraland, AL, and Lucedale, MS to schedule your appointment today. We look forward to seeing you! 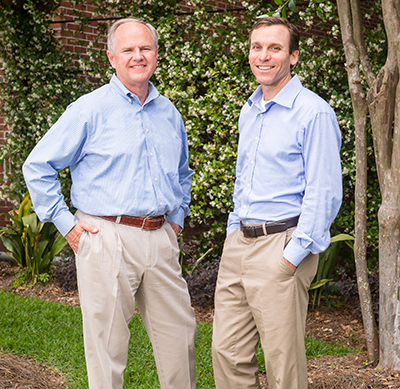 SureSmile® – We are proud to be the first practice in Alabama to offer SureSmile. SureSmile utilizes 3-D computer technology to create a model of your teeth allowing our orthodontists to plan out your entire tooth movements during your braces experience. This allows our orthodontists to customize braces archwires to your individual treatment plan so we can provide the most effective and comfortable treatment experience. Clear Braces – An alternative to metal are clear braces, which are made up of a clear, hard material. This material is much less noticeable than traditional brackets and is beneficial to you if you would like to minimize the look of your braces, which is perfect for adults needing braces! Invisalign® and Invisalign Teen® – Invisalign uses clear, virtually invisible aligners that will transform your smile without even being seen. There are no metal brackets or wires to replace, just a new set of removable aligners every few weeks until you have completed your orthodontic treatment. We believe in the “Golden Rule of Orthodontics,” which means that Drs. Hicks and McMurphy and their team will treat you as if you were part of their family. This simple concept will make your orthodontic treatment an extraordinary experience! No, there is no cost for the initial examination. We believe that the relationship established during a patient's first visit is much more important than an "office visit" charge! Upon arriving, each patient and parent will be seen by the staff and doctor who will acclimate you to our office and prepare for the initial exam. We will take the necessary photographs and X-rays to allow us to make a proper diagnosis. The doctor will then complete a brief, but thorough, exam on your orthodontic needs. Generally, treatment times range from 6 to 30 months. The "average" time frame a person needs braces is approximately 22 months. However, treatment time depends on each patient's specific orthodontic problem. View More Frequently Asked Questions!